New for 2018! H7cm (excluding hanging loop) x W9cm. 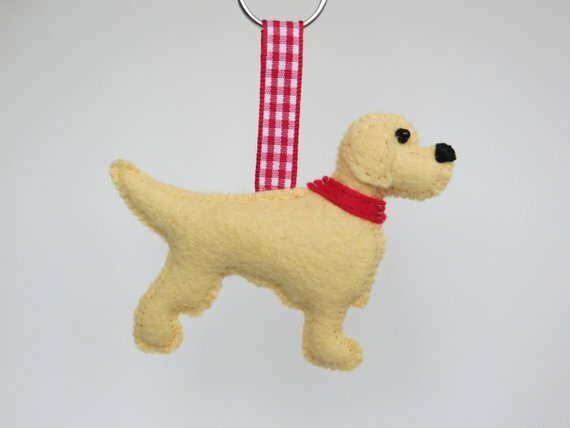 Designed and completely hand sewn by me these Golden Retriever keyrings were inspired by Olly who belongs to Alison and together they run The Dogs List at https://thedogslist.com. Made from felt and filled with polyester stuffing, black beads finish the eye with embroidered nose detail. 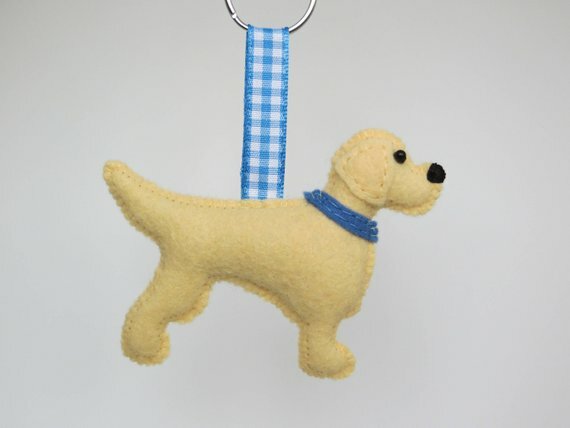 He wears a Blue or Red collar with co-ordinating gingham ribbons and a metal keyring attached. Also available as Bag Charms and Christmas Ornaments and in 2 other breed colours (see other listings for Fox Red and Blonde). Please ask if you would like custom made as one of the other options. 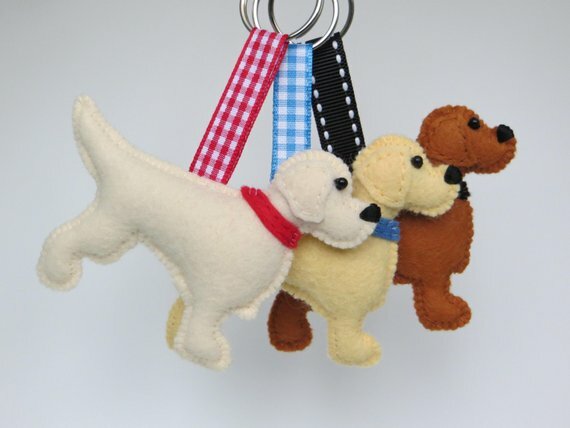 Materials: Felt, polyester stuffing, beads, ribbon, metal keyring.